The sports industry supports over 45,000 jobs in the UK and has boomed, becoming a £20bn industry. 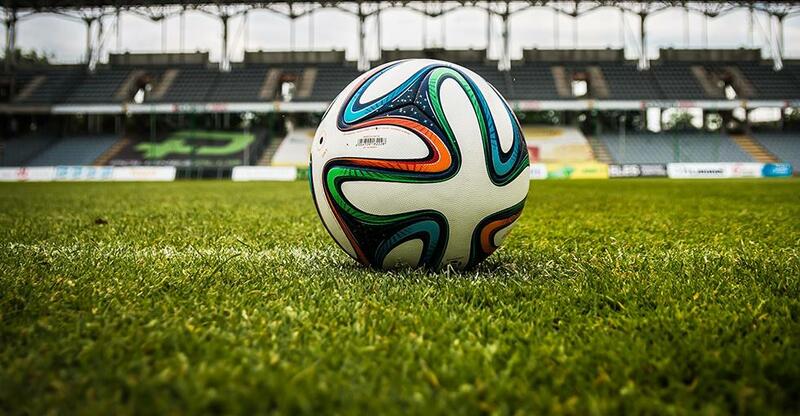 The never ending popularity of football, world class sporting events such as the Rugby World Cup and the ongoing legacy of the London Olympics have been a major boost to the economy in the last 5 years, making sport one of the UK's fastest growing sectors. It's official, we are a nation obsessed with sport and this begs the question: what other business opportunities might there be within the sports sector? It will come as no surprise to you that cycling is big business in the UK, and particularly so in London. A combination of the congestion charge and increasing public transport fares has meant many more Londoners are now riding to work. Design firm Gensler once suggested transforming disused tube tunnels into a network of subterranean cycleways. And a passion for cycling has gripped the country as a whole with more than two million people cycling to work at least once a week - an all-time high according to British Cycling, the sport's governing body in the UK. Consequently, this means that demand for cycling equipment and services is sky high. A report produced by the Transport and Mobility Leuven research institute revealed that the cycling economy in Europe had created 650,000 jobs by the end of 2014 alone. Since the 2012 Olympics and the elevation to near god-like status of sirs Bradley Wiggins and Chris Hoy, the cycling industry has been going from strength to strength. There are now a wide variety of different businesses catering to the everyday cyclist. These include hybrid café/ bar/ bicycle workshops like Popup Bikes in Manchester, who focus on community, great coffee and of course, bicycles. Dipak Patel, founder of Popup Bikes predicted the cycling boom, telling us that he could "see there was going to be a bike boom"
"Transport was getting dearer, people were economising and pollution is still a problem. Add to that the health kick and bikes were the answer." "I wanted to have an ethical business. I could easily be a car mechanic but I want to be a part of the solution, not the problem." Innovative bike accessory specialists are also popping up across the country, alongside premuium bike retailers and sustainably resourced bicycle products like Green Oil, who recently appeared on Dragons Den. Due to our current work/life dependency on technology, most of us sit behind a desk for longer than the usual 9-5, inevitably increasing the national levels of obesity. With the sedentary nature of most of our working days, many of us now spend money on gym memberships that we make the most of either before of after work. Until relatively recently, the gym and fitness industry was considered a sector for a minority group, however, it has now become a thriving sector for a much wider cross-section. Its emergence in the mainstream has created many opportunities for small business. According to Leisure DB's 2016 State of the UK Fitness Industry Report, the health and fitness industry is continuing to grow and now has more clubs, members and a higher market value than ever before. With 9.2 million gym members in the UK, the number of Brits hitting the gym equates to 1 in 7. 'Lifestyle gyms’ that offer niche packages designed for the individual are increasingly popular. Another growing trend is gyms that cater to the thrifty (or just those who don't want to pay hefty membership fees), such as the Fitness4Less and Energie franchises. Women-only gyms or gym sessions are also a growing phenomenon. Business opportunities in the fitness industry are growing with more demand or fitness products, accessories and on-line services. Alongside the increase in memberships to gyms, there has also been an increase in healthy food businesses, sporty wearable technology and websites dedicated to health and fitness advice. Richard Klein, owner of Gyms Kitchen, the UK's first protein-based healthy eating restaurant spotted a gap in the market for people who were dieting, trying to 'eat clean' or just be generally healthier, but who also wanted to eat out. Their menu only offers healthy, balanced meals, so people can eat out without breaking their diets by caving into temptation. And as many of us set our new years resolutions to be healthier, Richard has really tapped into something, pointing out that his restaurant "appeals to families and friends as well as gym goers. It's not just for die hard body builders, it's for people who just want to be healthy." Think Sundays: muddy goalposts, sharp air and the slight mismatching of kits. They may not be as glamorous, but the much cheaper, younger cousins of corporate football - the Sunday league and Five A Side are just as fun. As a business on the side, owning and running a football club or franchise can be both profitable and fun, allowing you to indulge in your passion for side-line ranting at the weekend… and earn money for it too! So, it seems there are plenty of opportunities in the sports sector, not least in cycling, fitness and football. So get your sweat on and think about how you could make your big break in the sports industry.